Price: 0.99 $ for 6.5g at Walmart. It usually varies from 0.99$ to 1.08$ depending on the store. While I purchased these all I expected was some fun sheer glosses to wear to nearby shops. But I am pleasantly surprised by these cutely packed dirt cheap glosses. Shades: Vanilla, Sugar Cookies and Grape. Sugar Cookies: No shimmer pink gloss with a purple hint to it. It's duo chromatic. Grape: Medium pink shade with minute shimmer. Texture: Juicy, sticky and smooth. Fragrance: Sugar Cookies and Grape have mild bubble gum kind of smell while the Vanilla smells exactly like Vanilla. Smell lingers for about an hour. Flavour: All glosses tastes sweet. Package: Comes in a small cute tubular package. Sugar Cookies & Grape: Just gives a juicy wet shine. Lasting: Lasts for 3-4 hours easily surviving light snacks. Moisturising: Amazing. No Lip balm required underneath. 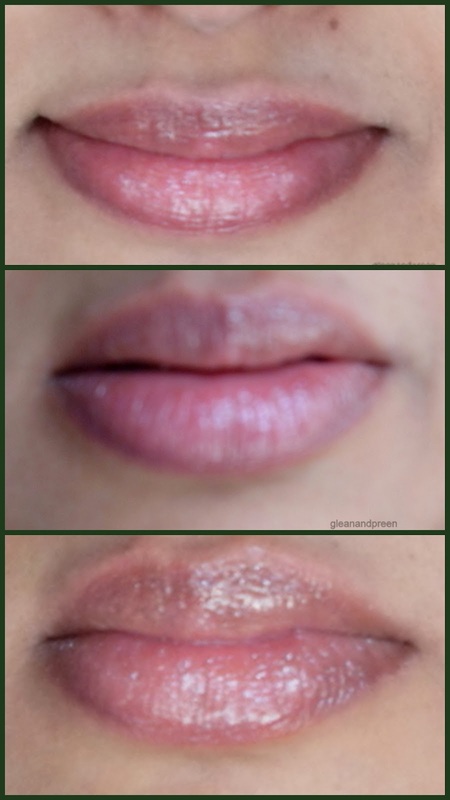 Opacity: Sheer glosses giving just a hint of the color. Plumping: To a certain extent. Are a resident of USA or have relatives or friends in USA. Don't prefer anything sticky, flavoured or fragrant on lips. Cannot get access to USA Shopping in any way. Not available in India. Final Note: These glosses are Cheap and Cheerful :) and I am glad I bought these even though I was unaware of the brand at the time of purchase.